With extensive growth of automobile travel in the United States, the efficiency and reliability of parking automation is critical. It is necessary for customers to experience a streamlined and intuitive process when entering and exiting parking areas. The efforts to create this experience involve multiple components and processes; the gate arm, card reader, ticket printer, sensors, and fee calculator must be able to seamlessly communicate in order for a parking gate to work properly. One company that has been on the forefront of innovation in the parking automation industry in the United States has been using Comtrol’s DeviceMaster® RTS 1-Port Serial-to-Ethernet gateway for an extensive period of time, and to great effect. However, this company has recently decided to upgrade their parking automation systems using Ethernet communication. As a result, the DeviceMaster RTS products must be replaced with industrial Ethernet switches. Comtrol proposed that the company use the RocketLinx® ES8105 to establish communication between all required devices (see diagram). The ES8105 is an unmanaged Ethernet switch that requires no user setup and immediately starts operating as soon as power is applied – for true “plug-and-play” operation. The RocketLinx ES8105 is a rugged device and has the ability to operate in a wide temperature range, from -25°C to + 70°C. The company was thoroughly impressed with the straightforward set-up and performance of the ES8105, stating that it had the best response times comparing to competitive products. 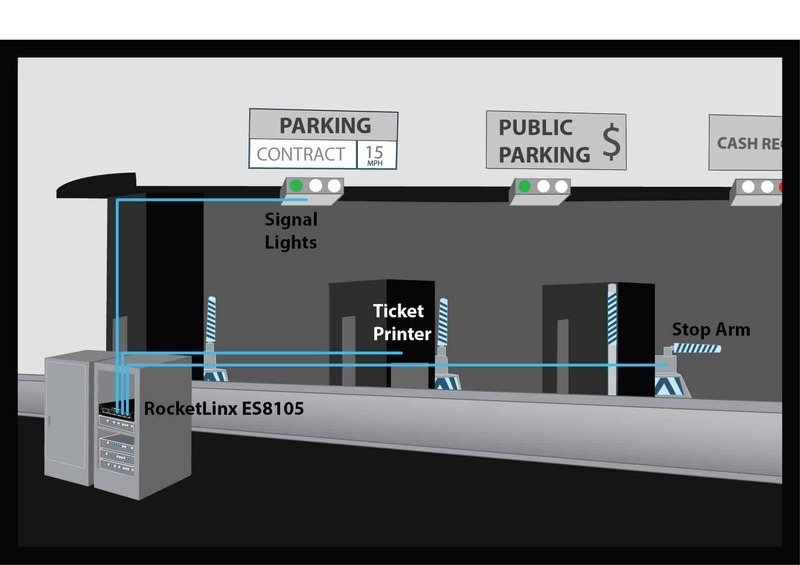 As a result, the company decided to standardize the RocketLinx ES8105 for deployment in its new parking automation design. 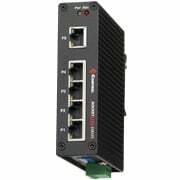 The RocketLinx ES8105 is a compact 5-port Fast Ethernet industrial switch featuring a 3.2Gbps switch fabric with Store and Forward technology, and housed in a slim industrial enclosure to save rail or panel space in compact system designs. For ease-of-maintenance, the RocketLinx ES8105 has one alarm relay that is controlled by a DIP switch to assist engineers with on-site notifications in the case of link-down events. With the 1.5KV Hi-Pot isolation protection, CE/FCC/UL regulatory approvals, high MTBF, a 5-year warranty, and rugged aluminum design, the RocketLinx ES8105 is the ideal switch solution for industrial and transportation applications.